It's amazing how you can reinvent yourself. Don't believe me? Then ask former supermodel Iman. The gorgeous Somalian has launched a make-up range for women of color. She started on 1994! The worst? To go mass market with the same space and prestige as other make-up brands, regardless of the skin color the products are meant for. It's just awesome. 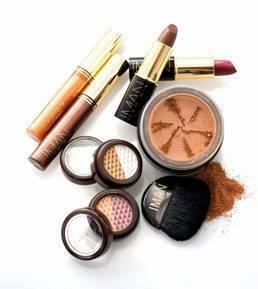 In 2010, Iman Cosmetics was a $25 million-a-year brand in the beauty business! You guys know my struggle to find foundation and powder on the high street. I'm spending my money on MAC and Chanel, but still it's not perfect. Check it out, you can also find yout true shade! Follow on Tumblr and check her website! IMAN Cosmetics is also looking for makeup artists of all genders, ethnicities and backgrounds to help and work on color and skincare! Apply now!